A number of selfless individuals committed to service make the work of UYF possible. Our team includes karma yoga instructors volunteering their time to teach studio classes, ambassadors donating their time to fulfill administrative duties, and mindfulness instructors bringing programs to schools. Clayton spent 30 years as a Broadcast Manager working for ABC, NBC and the world news leader CNN before taking control of his future and embarking on the next phase of chasing life and longevity as a Certified Yoga instructor. He was trained in India as a Hatha Yoga Instructor and is working with Beginners, Intermediate and Advanced students. He is founder of the “Mens Movement Class” designed for Men 40 and over addressing special needs, working on flexibility, developing core and upper body strength, keeping the heart strong and the mind focused. He worked with the Fordham University Rams Football team in preparation for the 2013 fall football season. Latreca is a Certified Yogi and Meditation Instructor with a passion for teaching wellness of the mind, body and soul as a collective. For the last 2 1/2 years, she has been working with individuals (ages 5 to 95) in the surrounding community to gain and grow their self-awareness and self-love in every aspect of life. She is a Saint Petersburg, FL native and currently offers Yoga and Meditation sessions in a number of aspects throughout the community. Latreca is a Social and Emotional Learning or SEL teacher for the local school system while also being a children's piano teacher, which has allowed her to utilize her 20 years of music expertise to create and offer Musical Meditation as another form of soothing restorative practice. Whitney is a Florida native who moved to St. Petersburg in 2014 after graduating from Florida Gulf Coast University with a B.A in Anthropology and minors in Art and Philosophy. She completed a Master's degree in Global Sustainability from the Patel College of Global Solutions at the University of South Florida in December of 2017. Whitney has been practicing yoga since 2005 and in 2016 graduated with her 200YTT through Adiaya Yoga Sanctuary. Yoga has taught Whitney that one does not always have to swim upstream, sometimes we can just enjoy where the river takes us and trust in life's journey. More than anything, Whitney desires to dedicate her time to a meaningful purpose and yoga allows her to do just that. In 2014, Mya found herself in a yoga class as an avenue to stretch her achy muscles and counteract the mental stress of Corporate America. The physical benefits were obvious but the beginning of her yoga journey was ignited after receiving a sense of balance between the mind, body and soul. She adopted yoga as a lifestyle and later chose to become an instructor because of a lack of representation. 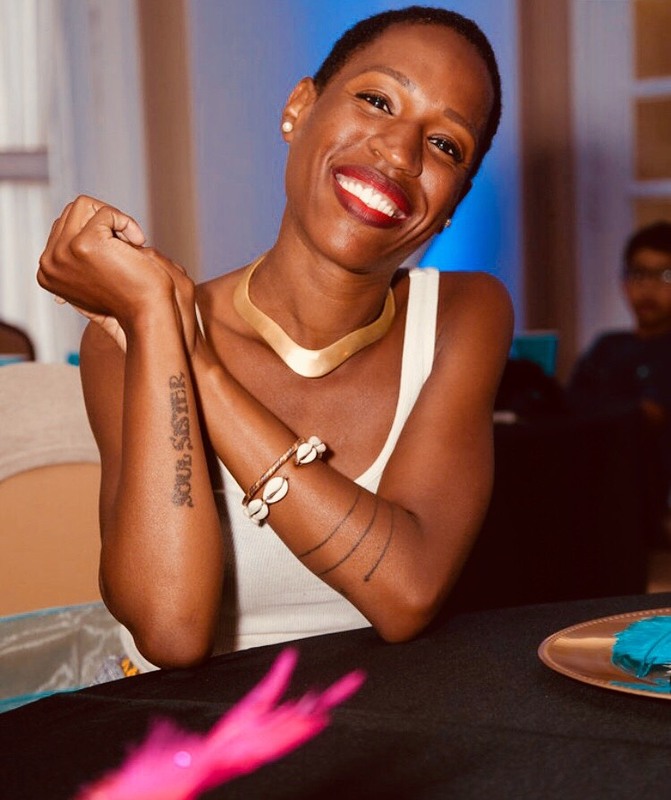 With a degree in Business Management and a background in Marketing & Event Planning, Mya founded Meeyogi, a Tampa-based yoga company offering events and private sessions. She received her 200-hour Hatha Yoga certification in 2016 through Yoga Loft Tampa. Her ongoing studies through various workshops allow her to remain a student first, to relay the teachings to yoga. Mya includes three things in every class; movement, mindfulness, and meditation. She encourages a playful yet purposeful practice. Having the opportunity to teach yoga to youth and adults, she is dedicated to making yoga more inclusive for people of all labels. Monica is a Yoga Instructor, Licensed Massage Therapist, mixologist, and small business owner living in St. Petersburg, FL. 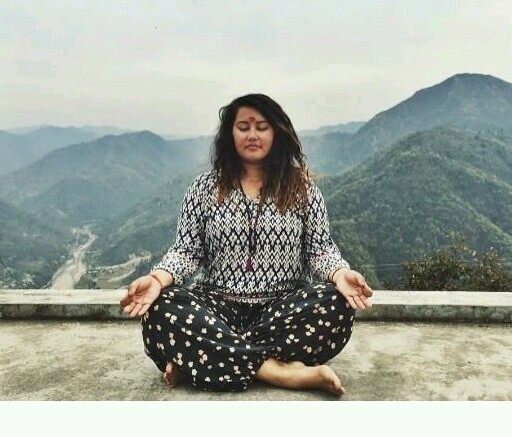 In 2015, Monica completed her 200 hour Yoga Teacher Training in Rishikesh, India. Her journey with UYF commenced in the Spring of 2018 as she began teaching middle school students in the underserved communities of St. Pete. Her practice and her teachings are all centered around the message of self-love. She often begins and ends her classes with a thought provoking question for her students to carry with them and apply towards the complicated situations life throws their/our way. The goal here is for every student to walk away with greater confidence in who they are and a deeper knowledge of their physical bodies. Monica’s small business, strength + shanti LLC, includes: therapeutic massage, yoga, and her handcrafted natural body care products. She has a Bachelor’s degree in Cultural Anthropology with a minor in Latin American Studies.